August 8-11, 2010; optional day on teaching in the field using GIS, August 12. Show more information and credits; click image to enlarge. Lake Powell, Utah. 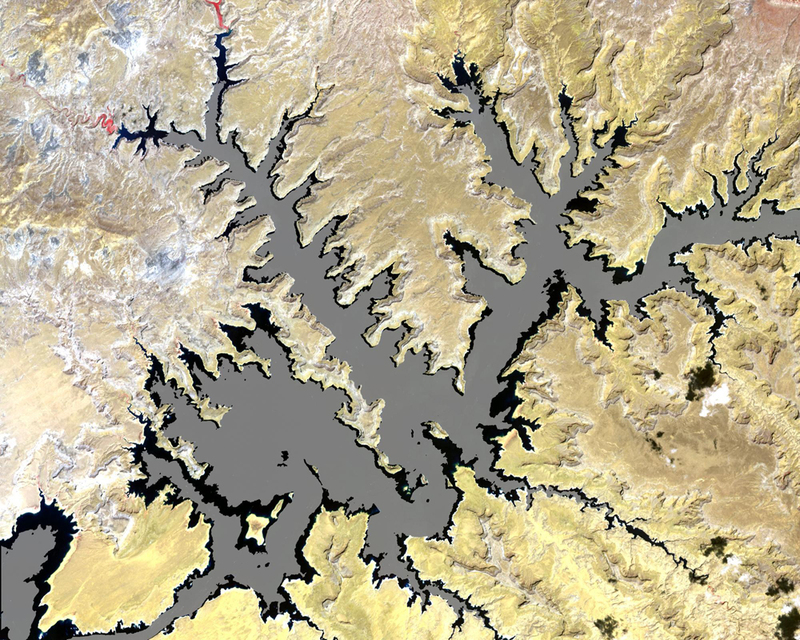 This ASTER image of part of Lake Powell was acquired in 2001. 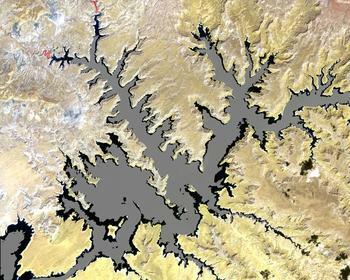 The gray area depicts the shrunken, reduced 2007 lake extent compared to the extended, larger black area in 2001. More information. Image credit:NASA/GSFC/METI/ERSDAC/JAROS, and U.S./Japan ASTER Science Team. 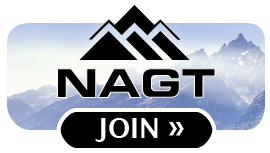 Join us for an exciting collaborative effort focused on enhancing the teaching of geoscience at the undergraduate level by using GIS and remotely sensed data. This workshop will bring together college and university faculty who teach using GIS and remotely sensed data both in the classroom and in the field. Participants will explore a wide variety of topics related to teaching geoscience students effectively using these tools both in GIS/remote sensing courses and as integral components of other courses taught in the geoscience curriculum. The fourth day of the workshop will be an optional hands-on day on teaching in the field using GeoPads. The optional day will be immediately followed by a Cutting Edge workshop on Teaching Geoscience in the Field, also at Montana State. Participants may apply to attend both workshops. Corner graphic shows an animation of ASTER scanning Earth. More information. Image credit:Reto Stockli, NASA GSFC. 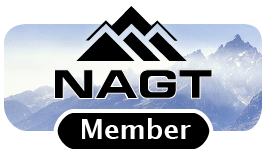 This workshop is part of the On the Cutting Edge professional development program for current and future geoscience faculty, sponsored by the National Association of Geoscience Teachers with funding provided by a grant from the National Science Foundation-Division of Undergraduate Education . 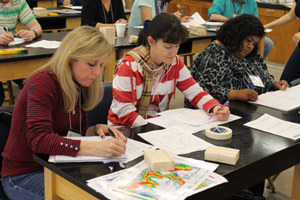 Teaching with GIS in the Geosciences from Starting Point: Teaching Introductory Geoscience. Teaching GIS and Remote Sensing from On the Cutting Edge. Teaching with GeoPads from Integrating Research and Education.